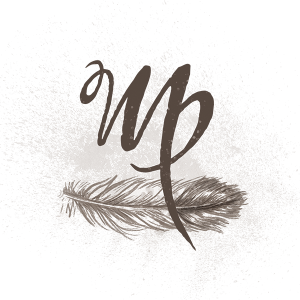 Illustrated logo created for Sea Goat Soap brand. 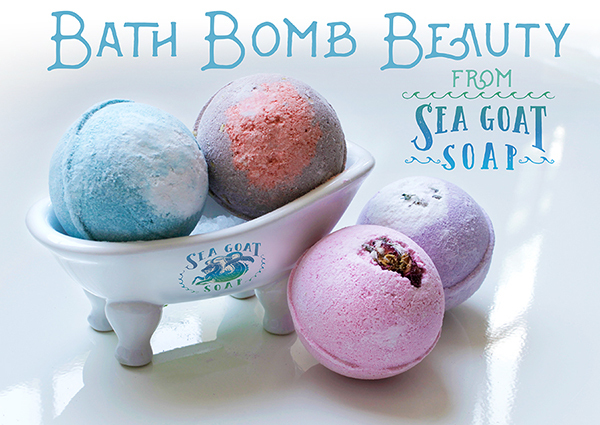 Sea Goat soap is a small business of eco-sourced and organic bath and body care products. 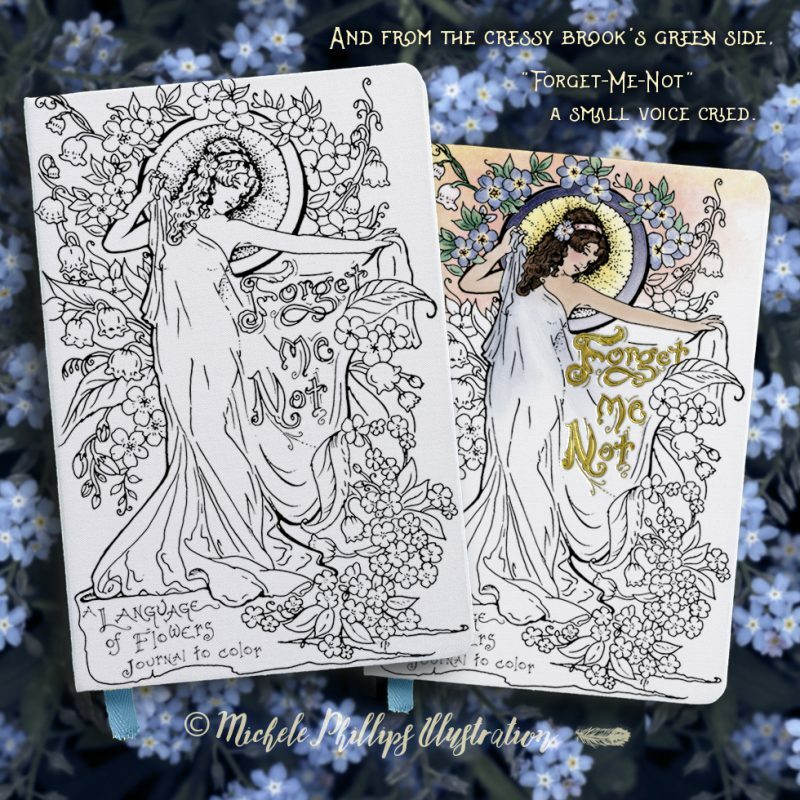 I loved drawing this mythological creature for them, and creating their signature brand with them! The sea goat has been a very popular part of their branding, on labels, tshirts, promos, and tote bags. Web and social media spot ads designed for Sea Goat Soap. 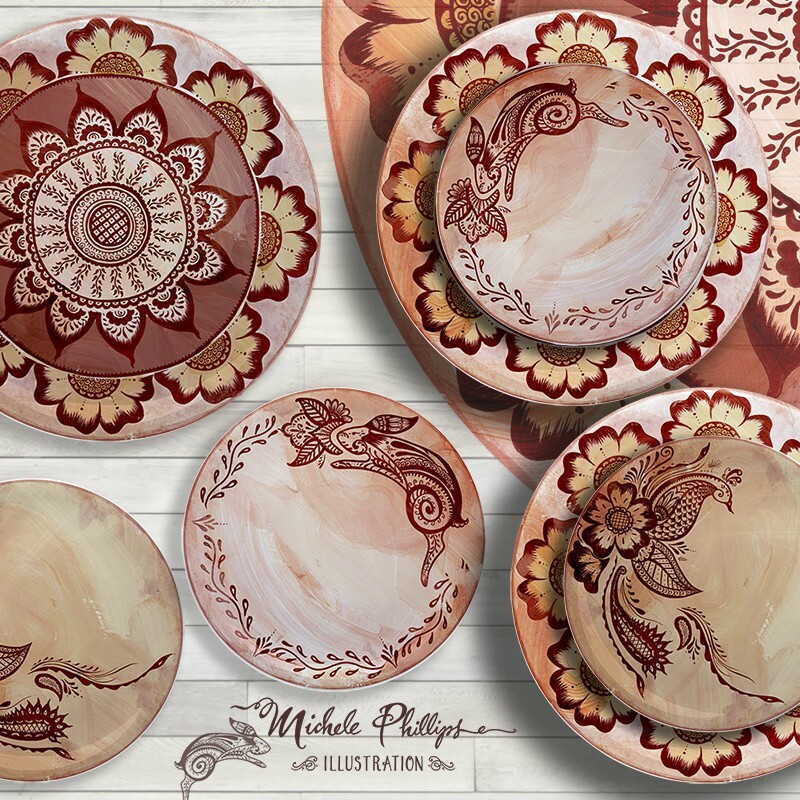 This product image for catalog and online involved photoshopping the logo on the mini-ceramic tub (and removing existing lettering there), photo styling, and retouching as well as design and layout. 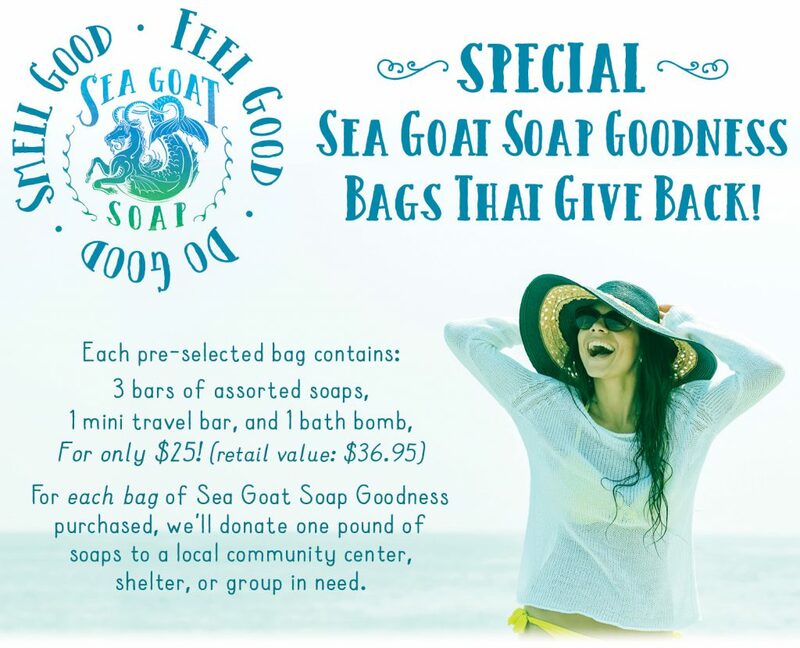 A ‘Give Back’ promotion for print and web for Sea Goat Soap events.